Hey, remember that diesel Mazda engine you were promised way back when? The one that was delayed and sidetracked and then questioned entirely when a certain German automaker decided to ruin oil-burners for everyone? Well, we’re finally getting it. Soon. Mazda swears, this time. 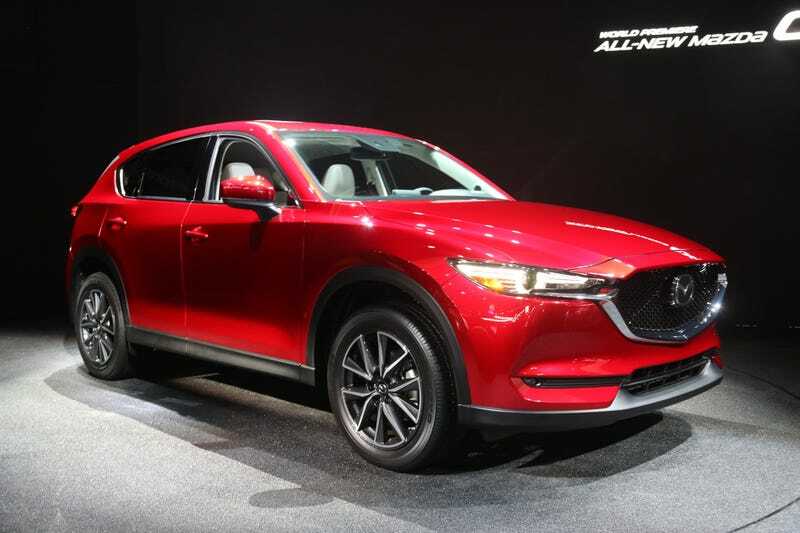 Automotive News reports that the fancy-looking 2017 CX-5 crossover that dropped last night is the first part of a big product onslaught from Mazda, one that will include a much more diverse portfolio of fuels. That includes a full electric vehicle in 2019, and a plug-in hybrid vehicle two years after that. But! It also means the 2.2-liter Skyactiv-D “clean diesel” (they promise) engine will debut in the CX-5 in the latter half of 2017. That’s according to CEO Masamichi Kogai, speaking in Tokyo. But the plan was stymied from the get-go by more stringent U.S. emission rules. Skyactiv-D grew in popularity in other markets, such as Japan and Europe, but Mazda said it was unable to deliver the same level of torque and acceleration while meeting U.S. regulations. And indeed Mazda might because it is a clever and scrappy company. But... why? Volkswagen, long the leader in pushing diesel in America, has admitted it’s pretty much done with the fuel here in the aftermath of its cripplingly expensive cheating scandal. And while other automakers like Jaguar and BMW push non-truck diesel vehicles, the sales volume is tiny and the appeal seems increasingly limited. Right now is the toughest time for diesel that America has ever seen, and more and more it feels like electric and hybrids represent the real future of powertrains. But! Mazda says the engine is clean as hell, and finally meets regulations through a compact selective catalytic reduction that “scrub(s) the exhaust of nitrogen oxides,” and doesn’t sacrifice performance. And it’s proven to be a hit in Japan, where buyers prefer hybrids. Who knows, maybe Mazda can pull this off. But it picked the worst time to try and do it.